When George and Harriet Sparrow landed at Waitapu in 1857 they camped under a tarpaulin and wondered what they had done. It took three days to reach their newly-purchased 300 acres of uncleared land, several more to build a first rough whare on it. The Takaka Valley was worlds away from their civilised home in England, but it offered a future for their three sons who took on responsibilities beyond their years to develop a sheep farm while George became active in public affairs and Harriet managed an isolated bush home. daybooks. 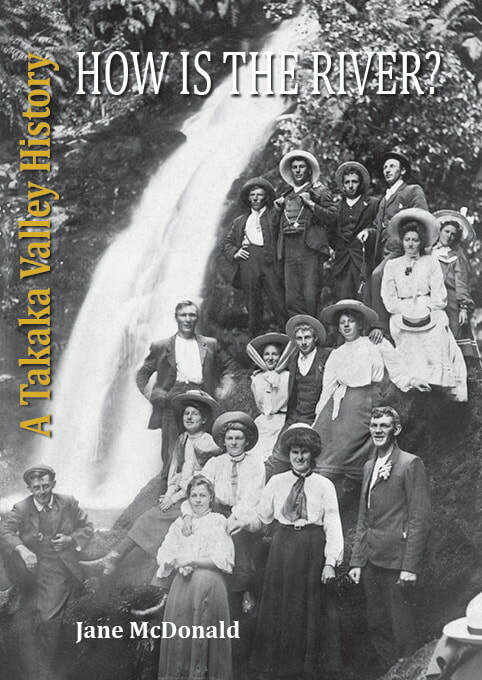 It covers the rise and fall of the timber and marble industries, the development of farming, the exploration of the hinterlands, the building of homes, churches, roads and bridges, and the everyday lives and interconnecting relationships of pioneer settlers in the Takaka Valley.